Technical papers are being sought for the Conferences. All interested authors are invited to submit papers for consideration to present at the Conferences. Submissions should be original technical papers, not previously published or currently under consideration for publication. 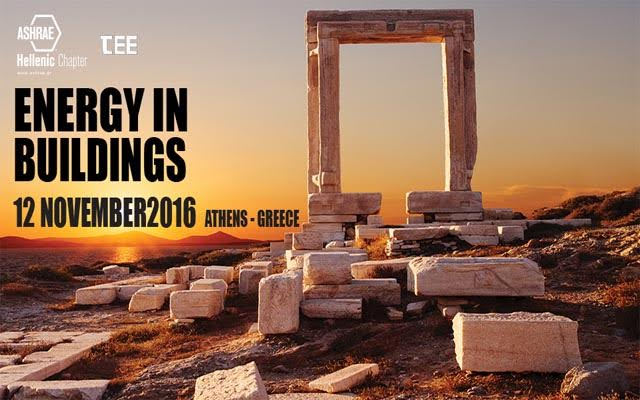 “ENERGY in BUILDINGS 2016 ” at http://ashrae.gr/einb2016.php. All correspondence should be addressed to EinB2016@ashrae.gr. “ENERGY in TRANSPORTATION 2016” at http://ashrae.gr/eint2016.php. All correspondence should be address to EinT2016@ashrae.gr.